The D1-PPM Carbon Dioxide controller provides high-end performance, at economy pricing. Starts by using a highly accurate NDIR CO2 sensor. 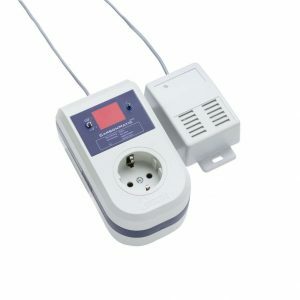 The CO2 Sensor is located in a remote sensor enclosure that can be positioned up to 5 meters from the main controller. Included inside the remote sensor enclosure is also a photocell which will detect light levels to activate the CO2 control function ONLY when desired by the user. *Most applications including hydroponics require CO2 to be active only during the “Daytime”. The user can select their desired CO2 level in PPM from 350 up to 2000 PPM. 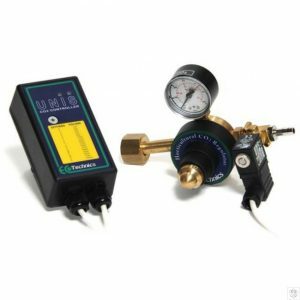 The adjustable PPM and deadband settings as well the ability to use the D1-PPM to evacuate (reduce) CO2 levels makes the D1-PPM a very powerful device. 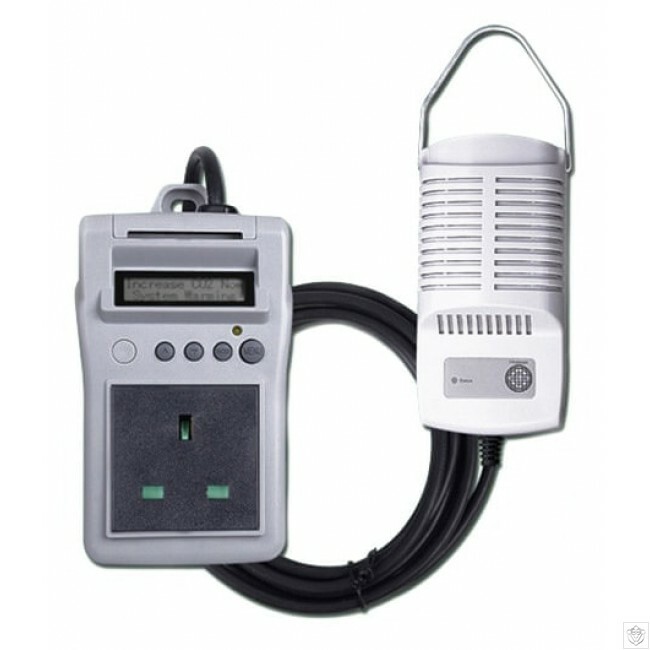 To use the unit, a CO2 device is connected to the power receptacle on the front of the unit. Once the user has accessed and entered their desired setting on the digital display, the unit will begin measuring the CO2 level in the area. When the level of CO2 is below the user’s setting, the CO2 device will be activated. Once the CO2 level rises to the user’s setpoint + deadband settings, the CO2 device will be de-activated.